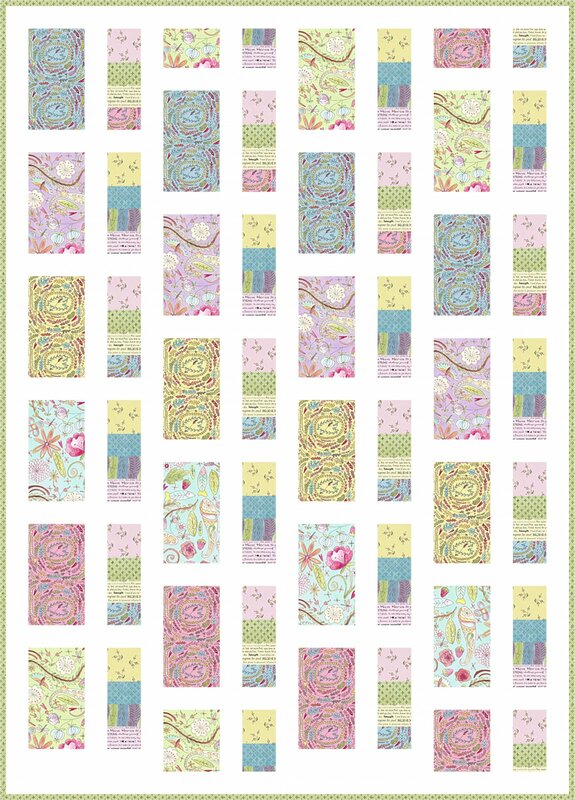 This bright cheerful simple to piece quilt is created from the Free Spirit Laurie Heine collection called The Dress. Kits available in lap only and includes pattern and fabrics to piece top and binding. Backing fabric sold separately at this link. 3 1/2 yards needed for backing.